There are no messages on Michael Peterson's profile yet. 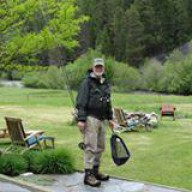 My interests are on-line gaming (World of Warcraft), fly-fishing, and biblical Hebrew. As for the latter, I am a semi-professional translator and teach the language. I took two years of academic training at Hebrew University (Tel Aviv) and have been studying and translating biblical Hebrew for over 10 years. I hold a PhD in immunology and have enjoyed a number of unrelated occupations include helicopter instructor pilot, software engineer (working on Microsoft operating systems - WinNT). and university instructor.